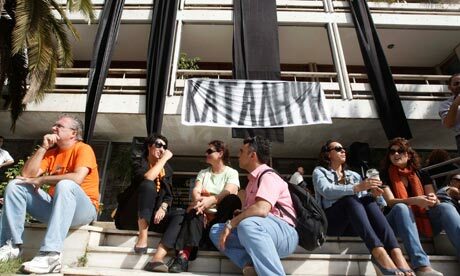 International experts with the task of compiling a crucial review of Greece's fiscal progress ran into trouble before they could even start the job as public-sector workers protesting against wage cuts, layoffs and higher taxes locked them out of office buildings. Inspectors from the European Union, International Monetary Fund and European Central Bank were greeted on Thursday with banners deploring the "barbaric measures" the so-called "troika" has meted out in exchange for propping up the moribund Greek economy. At the finance ministry – the hub of talks between the debt-stricken country and creditors – protesters shouted "take your bailout and leave" and prevented auditors from entering the building. ‘Capitalism for the poor’ no more? The concept of microcredit - tiny microloans used to help establish or expand income-generating microenterprises – was for a long time seen by the neoliberal policy-making establishment as the perfect self-help answer to poverty, unemployment and underdevelopment. Long associated with the passion and practical work of Bangladeshi economist and Nobel Peace Prize recipient, Dr Muhammad Yunus, and a little later with Peruvian economist, Hernando De Soto, great things were promised. Muhammad Yunus famously said that ‘poverty would be eradicated in a generation’, and the very notion of poverty itself would soon be ‘consigned to a museum’ to which children would have to go on study tours to see what all the fuss was about. In Latin America, Hernando De Soto predicted that the continent’s economic and social salvation lay with a massive expansion of the informal sector, and the supposedly productive activities of millions of what he termed its ‘heroic entrepreneurs’. With such seductive forms of ‘capitalism for the poor’ on offer, the key international development institutions, and the US government in particular, fell over themselves to finance the idea of microcredit. 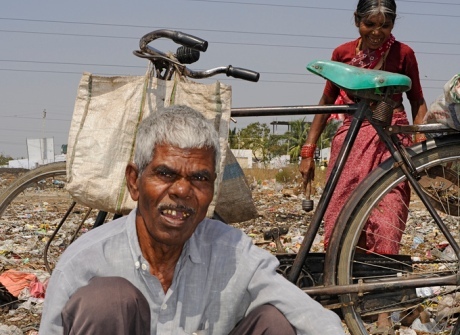 The microcredit movement was born. 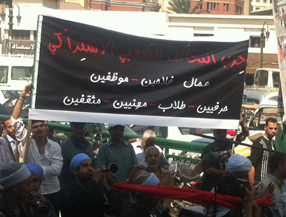 On Wednesday, members of the Socialist Popular Alliance Party marched in joy through Tahrir Square, playing the oriental ‘Hasabla’ music in celebration of collecting the minimum 5,000 notarised memberships needed to apply for official status. The Popular Alliance has now become the first leftist party to reach the mark since the January 25 Revolution. “We have been working on the establishment of this party since March, we are so happy to finally reach this stage,” Mona Ezzat, a member of the general secretariat, told Ahram Online. Having submitted the required documents today, Popular Alliance members are now awaiting the approval of the parties. WASHINGTON - Hyper-cynical anti-war novel "Catch-22" turns 50 next month, and Joseph Heller must be chortling in his grave over how apropos the phrase he coined remains today — from the U.S. jobs crisis to a bottomless war in Afghanistan. 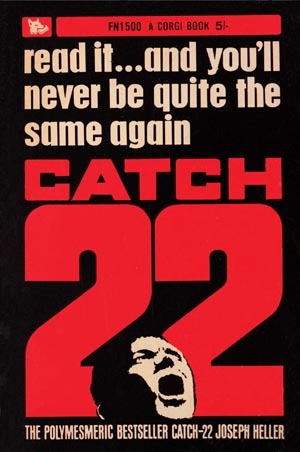 In addition to a fresh edition of the novel, publishers have rolled out new books to coincide with the anniversary — including a major Heller biography and a memoir by his daughter. The absurdist, often cartoonish story, about a hard-to-kill World War II pilot stationed on a small Mediterranean island and trapped in a perverse bureaucratic cycle, has sold more than 10 million copies and introduced to the English lexicon one of the most penetrating new phrases of the 20th Century. 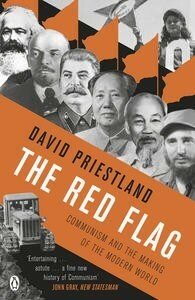 In The Red Flag: Communism and the Making of the Modern World David Priestland sets out to solve a conundrum which first worried him during his initial visit to Russia in 1984 and only deepened when he spent the academic year of 1987-1988 as an exchange student at Moscow State University; a question which only became more pertinent, with the collapse of “really existing socialism” shortly thereafter: what was the true face of communism? 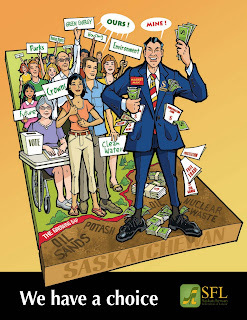 Can the Greens become Saskatchewan's third party? The future of Saskatchewan’s Green Party hung in the balance after provincial leader Larissa Shasko recently stepped down to join the NDP. It looked like the Greens might not recoup after being broad-sided. Shasko’s resignation the same day that federal Green leader and MP Elizabeth May spoke in Saskatoon led to speculation that the NDP had a hand in the matter. 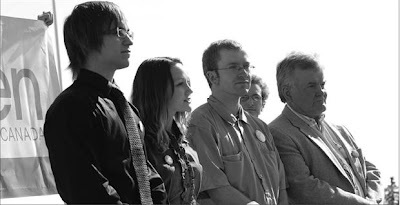 Green leader since 2009, Shasko was clearly frustrated over the gruelling inner workings of the party and will work for Regina NDP candidate Yens Petersen, who is on the green side of the NDP. According to Praxis Analytics’ last poll the NDP needs all the help it can get. The Sask Party has 63% support among decided voters, with only 13% of voters undecided and the NDP trails with 26% support; “well below its 70-year historic ‘floor’ vote”. There’s little doubt who will win the November 7th election; what remains unknown is how badly the NDP will lose and which party will survive as Saskatchewan’s third party. The Liberals are in steady decline, with less than 6% support and no ability to run a full slate. While 35% of decided voters pick the Liberals as second choice, this won’t translate into votes. One-half of Liberal supporters pick the NDP as second-choice; in two-party run-offs in close seats this could lead to the Liberal vote collapsing. Only 28% of Liberal supporters pick the Sask Party as second-choice. The Sask Party caucus response to an SGEU campaign that raises concerns about underfunding in the Ministry of Social Services shows just how out of touch party leaders are with the day-to-day realities facing at-risk children and families. 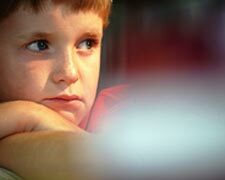 "Social workers struggle every day to find the time to provide the care and support that vulnerable children and their families need," according to SGEU President Bob Bymoen. "Staff in the Ministry of Social Services have faced unmanageable workloads for a long time. We have been warning governments about this problem for years," Bymoen says. 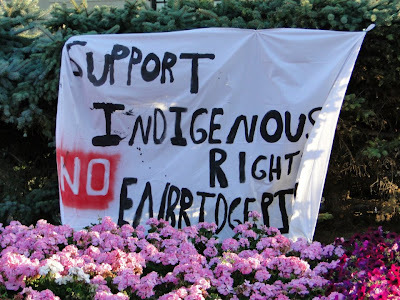 Activist Brigette DePape was a page in the Canadian Senate when she came to the attention of the public on June 3, 2011 by a protest she made during the first throne speech of the majority government of Stephen Harper. By silently holding up a sign that said "Stop Harper!" she earned dismissal from her job, the media nickname "the rogue page," and the admiration of Canadians concerned with the undemocratic, ideologically extreme tendencies of the Harper government. DePape has produced an extensive essay for the Council of Canadians on how we can be more engaged in political life and activism. 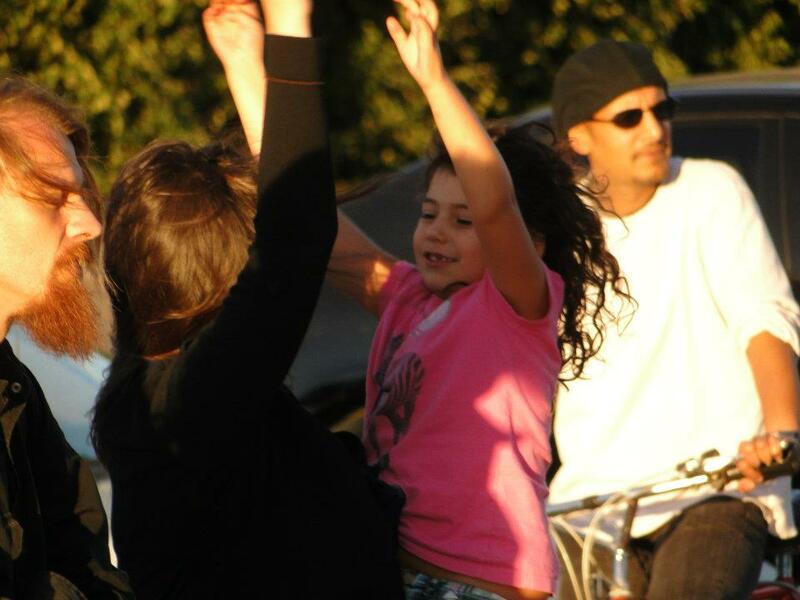 My experience discovering the power of direct action has been exhilarating. It has filled me with hope about our collective ability to transform this country for the better. 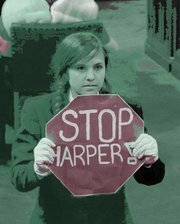 Many now know me as the page who held up a stop sign against Prime Minister Stephen Harper. 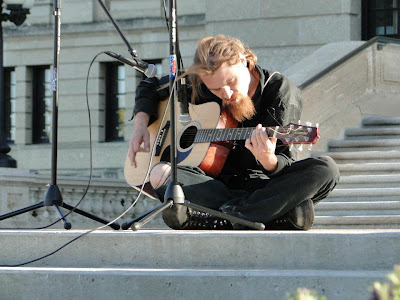 But when I first moved to Ottawa to attend university, my aspirations were very different. I had no thoughts about turning Parliament into a site of protest. Instead, I wanted to take a comfortable place at its centre. When I left my hometown of Winnipeg for Canada's capital, I came in part to join the Parliamentary Page Program. Back then, I saw Parliament as a means of bringing about much-needed social and political change. But living in Ottawa and working on the Hill, I began to understand our parliamentary system very differently. Far from serving to remedy injustice, it often seemed only to perpetuate it. 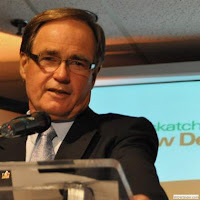 The northern-based Committee for Future Generations recently wrote all NDP MLAs and candidates asking for support for legislation banning nuclear wastes in Saskatchewan. (This is quite close to NDP policy). They gave compelling information about the steady, worldwide shift towards renewable energy accelerating since Japan’s nuclear melt-downs. But then the Committee asked for an apology from the NDP for taking us down the nuclear road. This reverberated right to the Office of the Leader of the Opposition, and wasn’t wholeheartedly embraced by everyone working with the Committee. It was too big a leap for many in the inner NDP; there was some support from a few people who left the NDP but would consider returning if there was any sign of sincere policy reevaluation. The brand of socialism that has emerged in Venezuela under the presidency of Hugo Chávez differs in fundamental ways from orthodox Marxism and past socialist experiences in large part because of its emphasis on social as opposed to economic objectives. 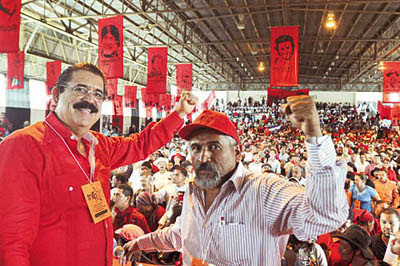 In addition, in contrast to leftist doctrines associated with really existing socialism, the Venezuelan government’s social policies appeal to the non-wealthy in general but prioritize the needs of the non-proletariat, underprivileged sectors of the population, specifically workers in the informal economy, those employed in small non-unionized firms in the formal economy and the rural work force. 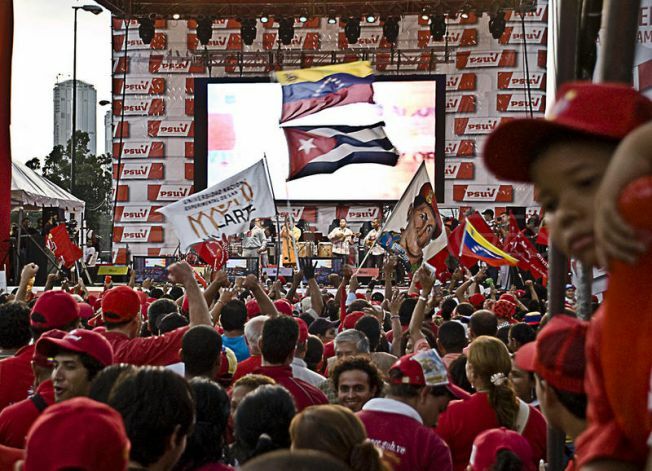 The Chávez government has placed a premium on the incorporation of these excluded and semi-excluded groups into the political, economic and cultural life of the nation and their participation in decision making, particularly in the local arena. The following article uses the term “social-based democracy” to refer to the Chavista strategy of promoting incorporation on a massive scale in a way that is designed to enhance the legitimacy of a government whose democratic credentials have been consistently questioned by its adversaries. As Thomas Mulcair mulls his NDP leadership bid, a West Coast academic with an extensive background in the NDP has fired a powerful shot across the bow of the campaign that candidate and party president Brian Topp hopes will sail him into the top job. Simon Fraser University professor Doug McArthur said the Topp campaign is guilty of “a kind of pushy, almost bullying, operation,” similar to the aggressive tactics used by Paul Martin organizers to catapult Mr. Martin into leadership of the federal Liberal party. 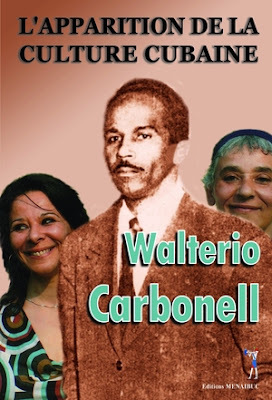 Last week the Cuban Anthropology Institute held a public ceremony in honor of Walterio Carbonell (1920-2008), a controversial Afro-Cuban Marxist thinker. September 20th marked the fiftieth anniversary of the publication of his most outstanding work titled Critica: Como Surgio la Cultura Nacional (How the National Culture Developed, a Critique). Contextually, the study was released the same year as the official recognition of the socialist character of the Cuban Revolution, the Bay of Pigs victory and the implementation of the mass literacy campaign on the island. The book challenges the master narrative of the history of Cuba, which persists in assigning the leading role in the formation of the Cuban nationality to a cultured white creole aristocracy of Spanish origin, one that also supposedly generated the ideology of independence and catalyzed the beginning of the anti-colonial wars against Spain (1868). 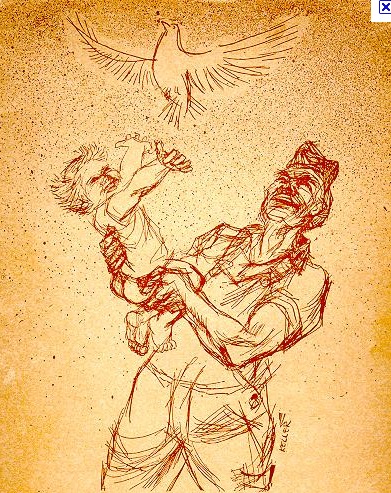 That explanation — slightly amended — continues to be the prevalent one in today’s Cuba. This year's Toronto International Film Festival offered another amazing array of films. With over 350 titles to choose from, the chance of viewing a variety of great films was not difficult. 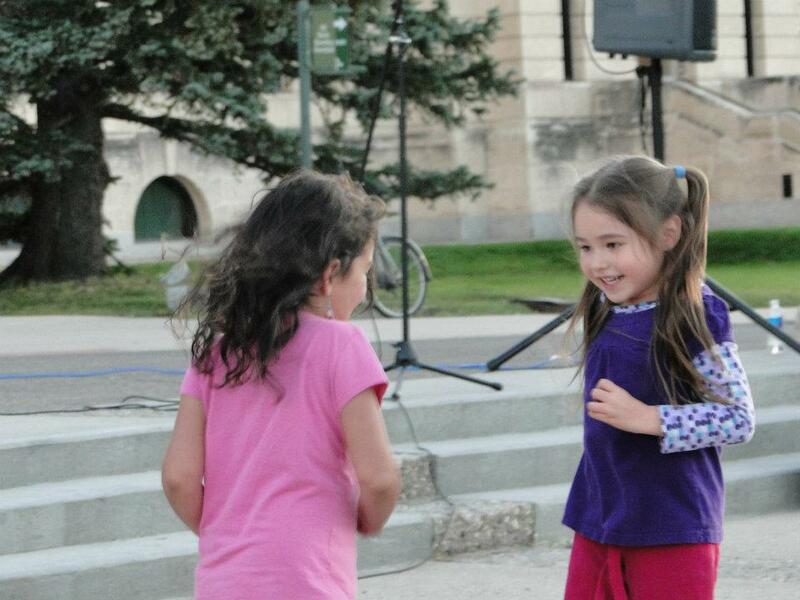 Interestingly, and similar to the Traverse City Festival, the most challenging and rewarding film was the longest one. 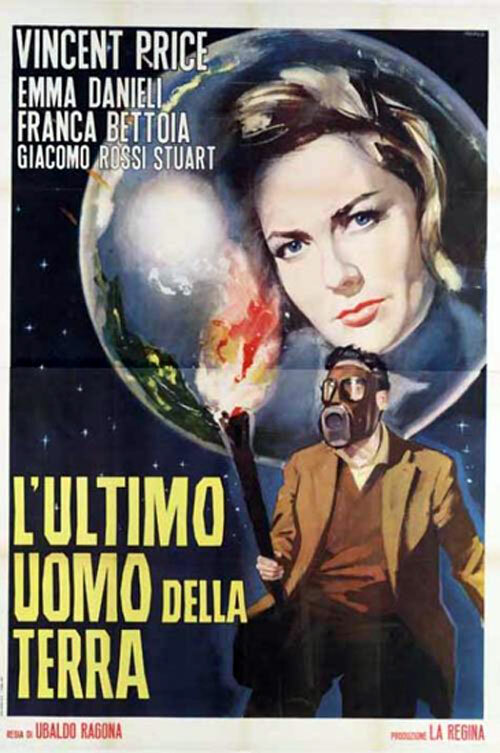 The lengthy four-and-a-half-hour Vapor Trail (Clark) in Traverse City was beat out in length by the 15-hour Story of Cinema (An Odyssey), a monumental study of film history that was shown in separate episodes throughout the TIFF. Providing not only a clear demonstration of the development of filmmaking through the decades, the marathon doc also presents a highly personalized but intriguing sampling of famous and neglected films over the years. Key interviews with filmmakers who changed the world of cinema, philosophical and political analyses, fast paced editing and a voiceover with a charming Irish brogue by the filmmaker and critic, Mark Cousins himself, makes this one of the most engrossing and developed studies of film for political activists to date. 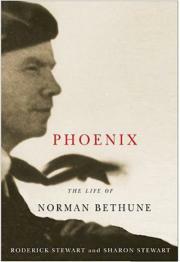 Thanks to his months in 1930s wartime China, Norman Bethune is probably the most famous Canadian in the world. He was also a jerk: a drunk, a womanizer, a bigot, an egotist, with a vicious temper and sloppy surgical skills. Yet he deserves our attention and respect. Bethune was appallingly self-destructive, but at last found the will to reconstruct himself -- to become the phoenix rising from his own ashes. Roderick Stewart's new book rises from the ashes of his earlier biographies of Bethune. Historians know that the past is always changing: new archives are opened, octogenarians finally give interviews, new science requires new interpretations of people and events. Even so, this latest book, co-written with his wife Sharon Stewart, is likely to remain the definitive study for some time. As on other Sept. 15 Independence Day celebrations since President Manuel "Mel" Zelaya was removed at gunpoint on June 28, 2009, the National Front for Popular Resistance (FNRP) organized anti-government marches and demonstrations in Tegucigalpa and elsewhere in Honduras. Again, hundreds of thousands participated in this country of 7.5 million. Two days later, at a so called "Seeds for Liberation" meeting, 3,000 FNRP delegates gathered to approve a new political party charged with running a presidential candidate in elections set for the November 2013. The FNRP is thus upping the ante against the country's Nationalist and Liberal two-party duopoly whose leaders belong to a small but wealthy group of families allied to the military, and friendly with U.S. diplomatic and military representatives. The FNRP claims the agreement President Lobo, Colombian President Juan Manuel Santos, President Hugo Chavez of Venezuela and Zelaya signed in May 2011 to allow Zelaya's return from exile has been abandoned. Specifically, says the FNRP, the Lobo government has failed to make good on its commitment to protect human rights and tolerate movement toward a constituent assembly. The federal NDP is in deep trouble. 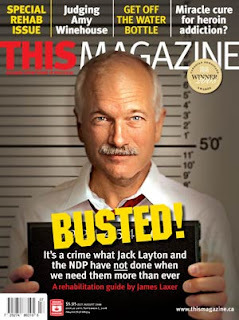 They put all their eggs in one basket, and then Jack Layton was struck down by cancer. That is the problem with personality politics. Now they must choose a new leader, and there are no more Laytons around. In a recent piece in Prairie Dog/Planet S, John Conway argued that the NDP still has a chance to remain as the official opposition and perhaps build an alliance with the Liberals to defeat Stephen Harper in the next election. But to do so the party must allow the Quebec wing to play a leading role in this process. This will not be easy, given the historic hostility of the NDP to the Quebec sovereignty movement. The world economy faces a growing crisis, world leaders seem powerless and divided. James Meadway looks at the background to the crisis and argues that we need an end to austerity, increased spending and a People's Default. 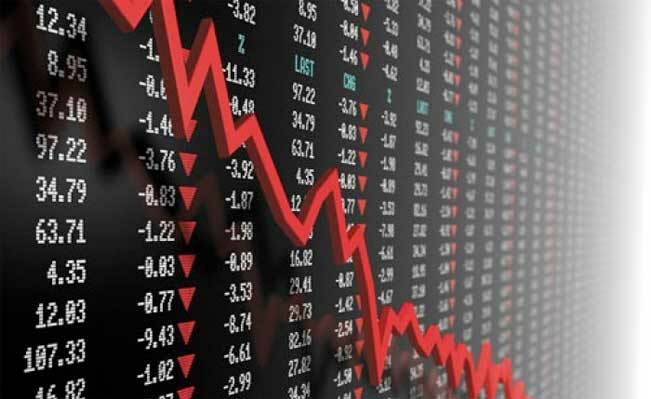 After a tumultuous week, it is now widely admitted that the global financial system, and perhaps the world economy, is close to collapse. The news is uniformly bleak. Growth across Europe and North America is weak to nonexistent. Unemployment is high and rising. Even China is showing early signs of a slowdown. 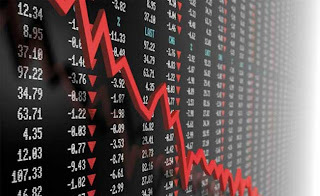 Stock markets across the world continue to slide, despite the – increasingly desperate – appeals of national governments and international bodies like the G20 and IMF. The global economic crisis that closed the first decade of the 21st century has demonstrated that the contradictions of capitalism cannot be overcome. The challenge for socialist analysis is to reveal both the nature of these contradictions in the neo-liberal era of globalized finance, and their consequences in our time. 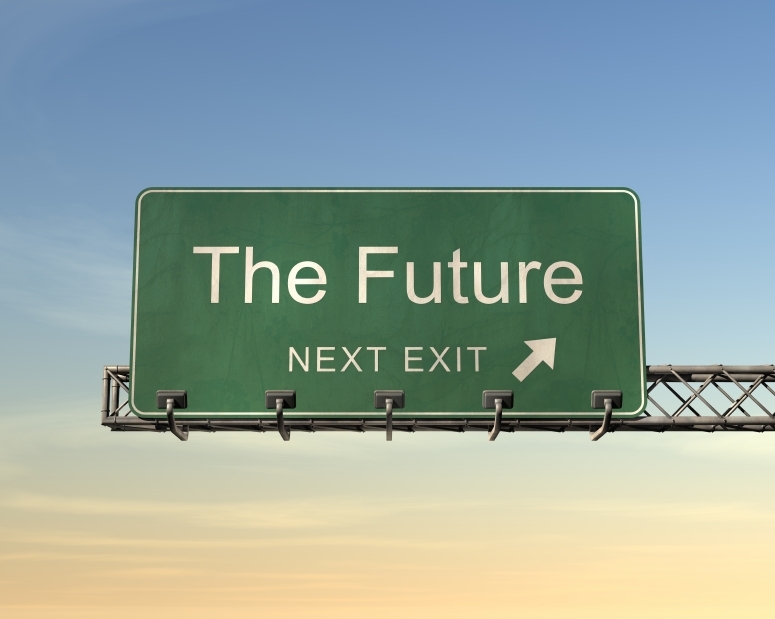 Crises need to be understood as turning points that open up opportunities. How to facilitate this is the sharpest challenge posed to socialists by the most severe global economic crisis since the 1930s. 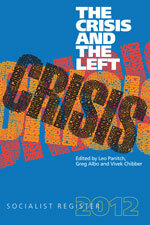 This volume, a companion to The Crisis This Time: Socialist Register 2011, examines the response of the international Left and asks, how has the Left responded and can it offer an alternative to faltering capitalism? The Socialist Register has been the intellectual lodestar for the international left since 1965. Leo Panitch and Greg Albo are Professors in the Department of Political Science at York University, Toronto. Vivekk Chibber is Professor of Sociology at New York University. Whilst resistance grows the organised Left continues to be weak. Chris Bambery looks at the difficulties and changes the Left has endured since 68' and what the Left must do if it's to grow and influence the anti-austerity struggle. As resistance to austerity measures grows globally the stakes are high, but to move forward we have to accept an uncomfortable fact: that the radical and revolutionary left is weaker today than it was a decade ago. It is a stark fact and one which should raise alarm given it was a decade defined by 9/11 and the anti-war movement at its beginning and by the sharpest recession in decades and revolt against austerity at its close. The numbers of people within Britain who have been on a demonstration and who identify themselves as left-wing has risen in the last 10 years but those people clearly have not found a home within the existing left organisations. Tegucigalpa - Hundreds of sympathizers of the National Front of Popular Resistance began the month of September demanding an end to the privatization of education and public services and at the same time rejecting the construction of “model” cities, demanding respect for human rights, and an urgent solution to the agrarian problem – all part of the five strategic points that tie the struggle together. At the beginning of the mobilization at the Francisco Morazan National Pedagogical University (UNPFM) the Sub-Coordinator of the FNRP, Juan Barahona reminded the protesters of the objectives of the struggle beginning on September 1st, “we are celebrating the opening of the Independence Festivities (Fiestas Patrias) but not the oligarchy’s Independence. The recent decision by the Egyptian cabinet to rescind an IMF loan due to popular opposition gave voice to this resentment. Many pundits argue that the Arab revolts are a belated response against neoliberalism; often defined as free trade, reduced social spending and cuts in taxes and regulation, most prominently voiced in Walter Armbrust's The Revolution against Neo-Liberalism. 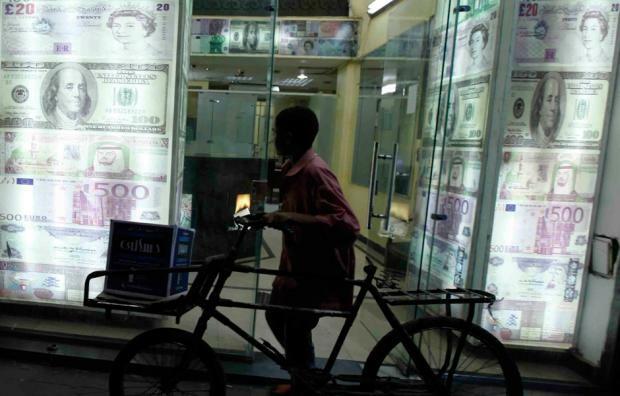 In Egypt, it is true that antipathy exists toward one of the leading symbols of neo-liberalism, the International Monetary Fund (IMF); The IMF is blamed for Mubarak era crony capitalism. The recent decision by the Egyptian cabinet to rescind an IMF loan due to popular opposition gave voice to this resentment. In the birthplace of the Arab Spring, Tunisia, the revolt was also fueled by growing anger over a sense of pauperization. With Greece on the verge of default, Italy sucked into the storm, and French banks drawing ever closer to collapse, the euro has finally reached its endgame. All that is solid melts into air. 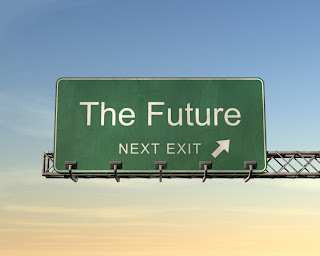 What we are experiencing at present will define our era for centuries to come. 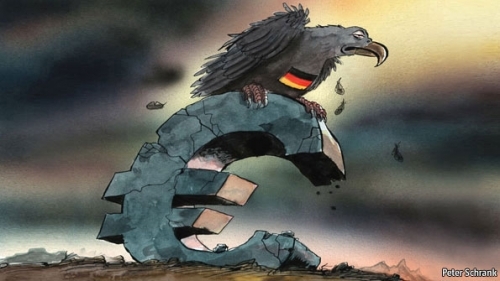 Precisely ten years after the final collapse of the Soviet Union and the demise of state communism, we are now approaching the endgame for the European Union and the potential demise of European capitalism. The train of economic integration has come grinding to a halt. These are tectonic shifts in world history. But our leaders seem largely oblivious to it. In many ways, this year has already made its mark upon history: 2011 is the year of revolution, war and crisis; of terror, truth and disaster; of revenge, revolts and riots. But, as we predicted in an article back in December 2010, it might yet be remembered as the year of collapse. 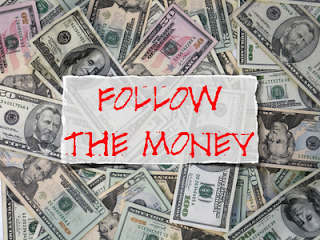 None of the underlying causes of the enduring global financial crisis have been addressed. Indeed, the chosen policy response — draconian austerity measures — has only made matters worse. I wonder how professors would react if their employers told them to sing a song every morning about how wonderful their employer is? Hmm, might work. Back in the mid-1990s, I was working on case for the United Steelworkers involving a union organizing campaign at a WalMart store in Windsor. The Steelworkers went on to win certification at that store after Walmart broke the law by telling employees that certain benefits would be taken away from them if they unionized, and by implying that the store might be closed and everyone fired if the employees voted for the union. As my industrial students will learn, employers can’t do that, since if workers expect to be fired for unionizing, odds are they won’t vote for a union. The Windsor store became the first unionized store in the world. I have a few memories of that case, and the hearing at the Labour Board, that have stuck with me. There is something rotten with the state of Saskatchewan democracy. First Nations people living on-reserve have been targeted by the Sask Party in a clear effort to reduce their voting rights. As part of recent changes by the government to the Election Act, photo identification will be required by all Saskatchewan voters casting their ballots in this fall’s provincial election. A process that would give students the opportunity to vote on an important question has begun at the University of Regina. 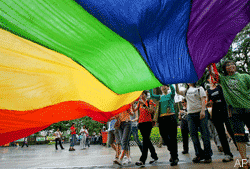 Volunteers from across campus, including representatives from the UR Pride Centre for Sexuality and Gender Diversity and URSU's LGBTI director, have been busy petitioning for signatures so a referendum can be called. A referendum gives students a chance to directly make a decision. In this case, the referendum question would ask students if they support the creation of a small fee of fifty cents (part-time students) and one dollar (full-time students) that would then go to help fund the on-campus, non-profit student centre called UR Pride. 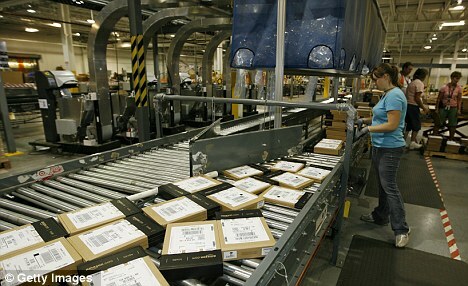 Lehigh Valley workers tell of brutal heat, dizzying pace at online retailer. Allentown, Pa.— Elmer Goris spent a year working in Amazon.com's Lehigh Valley warehouse, where books, CDs and various other products are packed and shipped to customers who order from the world's largest online retailer. Goris' complaints are not unique. 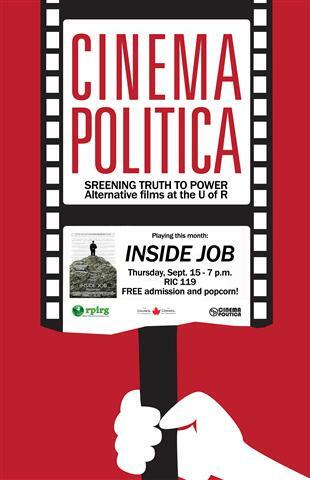 For several years, the Regina chapter of the Council of Canadians (COC) has hosted screenings of documentaries covering a variety of social issues, from hunger and poverty to the environment. Although the events were generally well-received, the costs associated with public presentation of the films could sometimes be prohibitive. In September, 2010, the COC found a solution in the form of the international organization Cinema Politica: a Montreal-based media arts non-profit organization dedicated to supporting small scale screenings such as the Regina COCs. Although most of the chapters are in Canada, there are member groups all around Europe, and even one in Jakarta, Indonesia. The extensive network of clubs provides them with the power to cut costs. The Iranian Foreign Ministry has confirmed the release of Joshua Fattal and Shane Bauer was in large part due to the request and mediation efforts of President Chavez. Iran’s release of US citizens Joshua Fattal and Shane Bauer on Wednesday, September 21, made headlines worldwide, but little details were initially provided regarding the reasons behind their liberation. The Iranian Foreign Ministry has now publicy affirmed the release of Fattal and Bauer was in response to requests made by Venezuelan President Hugo Chavez, along with UN Secretary General Ban Ki-moon and the heads of state of Iraq and Oman. The two US citizens were originally detained on July 31, 2009, along with Sarah Shroud, after they were caught by Iranian border guards who claimed they had entered Iranian territory without authorization. The three young US citizens alleged they were hiking in Iraqi Kurdistan, a touristy area for outdoor activities that borders Iran, and were kidnapped by the Iranian security forces while on Iraqi territory. 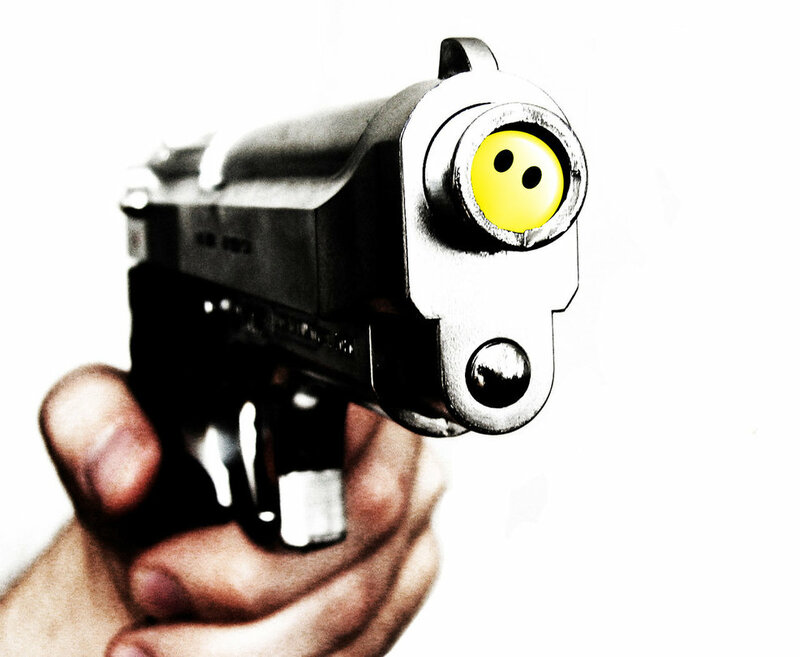 Prime Minister Harper will be launching his tough-on-crime agenda today. 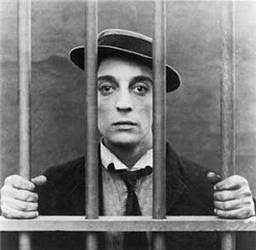 Our criminal justice system is by no means perfect, but the omnibus crime bill will send us back to a 19th century punishment model. Here are some reasons why Canadians need to speak out against this legislation. The former U.S. drug czar (Asa Hutchinson) has encouraged Canada not to make the same mistakes the U.S. made. The two mistakes he cited were mandatory minimum sentences, and insufficient attention to rehabilitative programs. 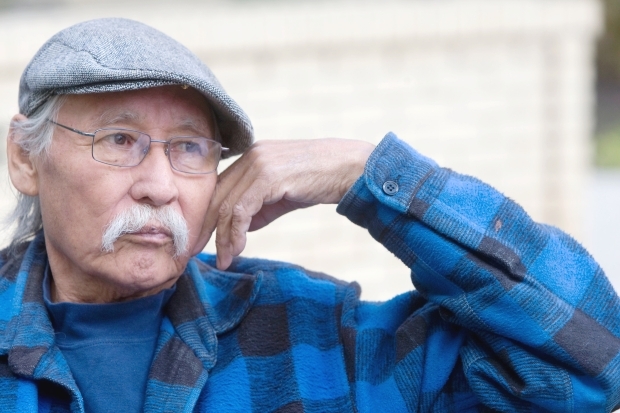 An elderly man from Northern Saskatchewan is on a hunger strike to push for a ban on nuclear waste storage in the province. 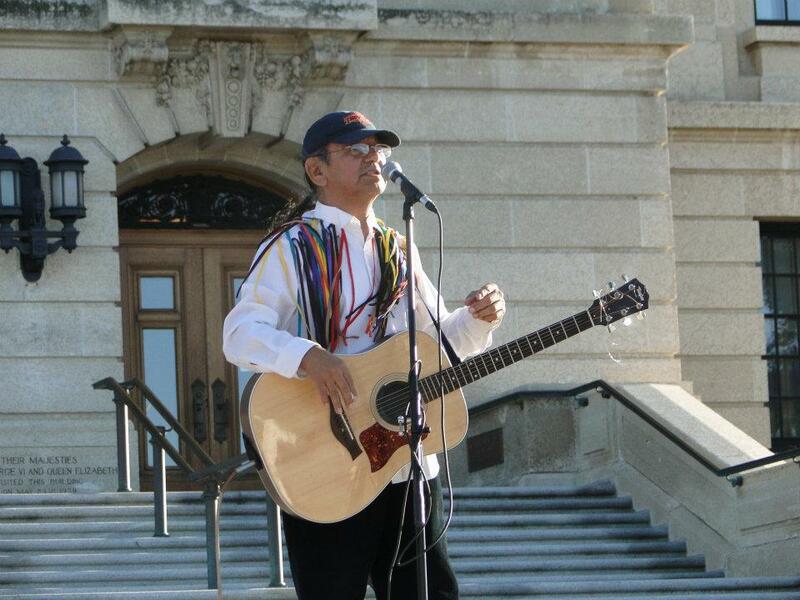 Emil Bell, 70, was in Saskatoon Tuesday as part of a northern delegation speaking at the University of Sasaktchewan and other events. Bell said he’s consumed nothing but water and green tea for the past 15 days to call attention to the issue of nuclear waste storage. At a doctor’s appointment Tuesday in Saskatoon, he was told his blood pressure and other measures remain stable. The doctor told him to at least drink protein shakes or vegetable juice, and he said he’ll consider it. Although the provincial government has declared Saskatchewan residents are not ready to consider nuclear waste storage, it has not passed legislation banning it, as Manitoba has, Bell and others note. 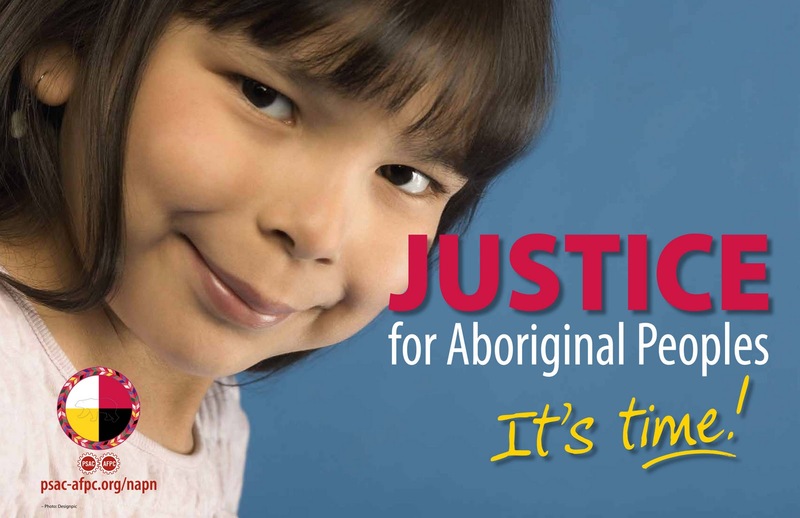 Bell also wants individual First Nations to pass bans. 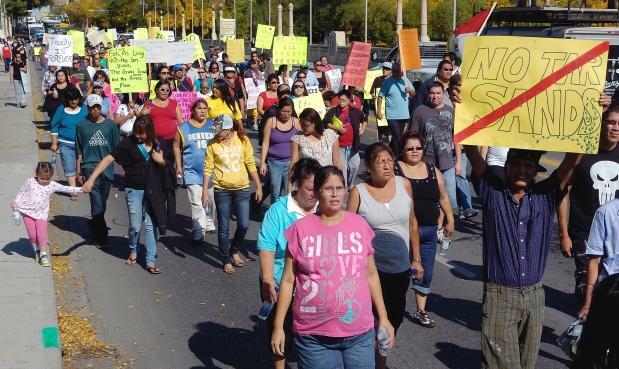 Several northern Saskatchewan communities have declared interest in exploring the issue. A nuclear industry-funded group, the Nuclear Waste Managment Organization, is conducting various tests and guaging local opinions. The process could take years, and will only be implemented if the community accepts it and other conditions are met such as correct rock formations. Supporters note the jobs and economic benefits of such a project, as well as Saskatchewan’s responsibility to store the spent uranium after profiting from its extraction. Opponents have various safety and environmental concerns, such as the effect on waterways. Militant Minority tells the compelling story of British Columbia workers who sustained a left tradition during the bleakest days of the Cold War. Through their continuing activism on issues from the politics of timber licenses to global questions of war and peace, these workers bridged the transition from an Old to a New Left. In the late 1950s, half of B.C.’s workers belonged to unions, but the promise of postwar collective bargaining spawned disillusionment tied to inflation and automation. A new working class that was educated, white collar, and increasingly rebellious shifted the locus of activism from the Communist Party and Co-operative Commonwealth Federation to the newly formed New Democratic Party, which was elected in 1972. 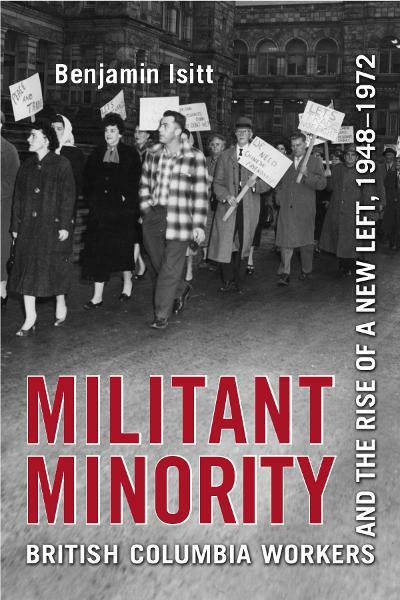 Grounded in archival research and oral history, Militant Minority provides a valuable case study of one of the most organized and independent working classes in North America, during a period of ideological tension and unprecedented material advance. 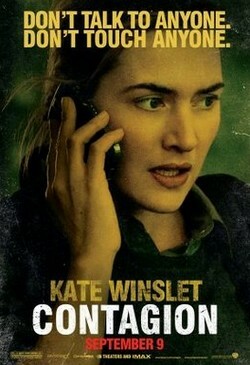 Audiences test positive for "Contagion"
Outside of zombie fiction, viral outbreaks are a theme rarely explored in film, particularly in a non-horror context. "Contagion" changed that, and director Roland Emmerich ought to take a few steps back - because this is the precursor to the next generation of disaster films. A germaphobe's worst nightmare, "Contagion" tells the story of an epidemic spreading worldwide, as organizations rush to come up with a vaccine. Not so much CGI and action, this is more of a drama-thriller that rethinks the 'disaster film' approach. Apocalyptic diseases aside, the film also hit home for any number of people who may share a vital dilemma with the characters onscreen: having to work while ill with no paid sick leave. This was clearly a point that the filmmakers wanted to address. The fictional disease was based upon the real-life swine flu outbreak, which, in reality, resulted in 7 million Americans catching the flu from coworkers, partially because many were refused paid sick days, according to the AFL-CIO blog. Pollsters tell us that Ontario’s New Democrats may double their seat total in next month’s provincial election. It’s also entirely conceivable that they could be part of a coalition government at Queen’s Park. But what’s actually in the party’s election platform? 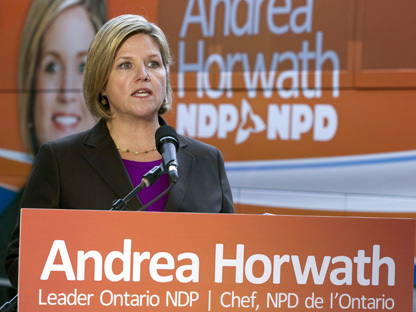 One central feature of the NDP’s proposals is to implement a tax credit for companies that hire new workers. The tax credits would be valued at 20 percent of wages to a maximum of $5,000 per worker. 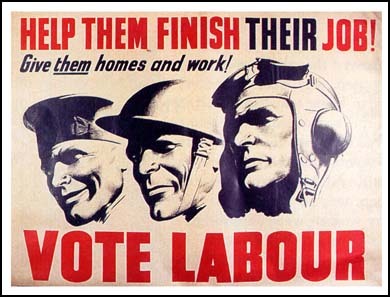 This only applies to the creation of full-time, permanent jobs. ‘We are thus at the point where in order to open up a new field for the expansion of capital (modernization of agricultural production) it would be necessary to destroy - in human terms - entire societies. Twenty million efficient producers (fifty million human beings including their families) on one side and five billion excluded on the other. The constructive dimension of this operation represents no more than one drop of water in the ocean of destruction that it requires. With these words Samir Amin was pointing to the choices before humanity. These were either one of expropriation of small farmers and later genocidal destruction or one where there was transformation of relations between humans. In the second and preferable alternative, humans would struggle to transcend capitalism to the point where there would be a new impetus for agricultural transformation where agriculture and forestry will provide for the wellbeing of billions of humans on planet earth. While acknowledging that the future transformation of agriculture was a ‘complex and multi-dimensional problem’ for humans, Samir Amin recognised that this task of transforming agriculture required new political alliances to break the present international division of labour. This vision is one where in the bio-economy of the 21st century, agriculture and forestry will ‘become new and lasting motors of the economy’ and a major source of new employment. Samir Amin was offering a vision of a new global system that integrated humans rather than excluding them. With the death of Jack Layton, the federal NDP has been thrust into an unexpected leadership race, its future in question. 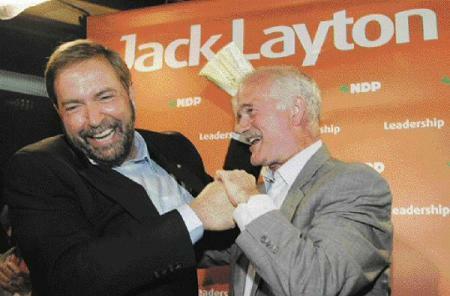 Layton led the NDP to a historic breakthrough in Quebec and brought the NDP to Official Opposition status for the first time. Even with Layton, the NDP's hold on these heights was tenuous. Without him, the NDP faces an immense challenge to maintain its current strength, let alone take that desired next step of forming a federal government. Electorally, at least, much hangs on the outcome of this leadership race. Using a one-member-one-vote (OMOV) system, the NDP will choose its new leader next March 24. While looking forward to the leadership race, it's also useful to consider the legacy of Layton's tenure as leader. 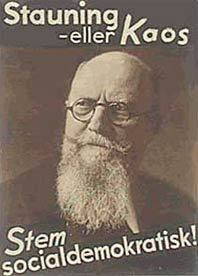 Once the Greens were Germany's political rebels. But on Sunday they lost their title to the Pirate Party, which won seats in a regional government for the first time. The success of their data-driven message took even the party itself by surprise. As Berlin election results came in on Sunday evening, sweaty members of the Pirate Party danced arm in arm beneath a disco ball at popular club in the city's Kreuzberg district. The smell of marijuana spread through the informal party, where guests made their own sandwiches and drank bottled beer. "I can't believe it," said newly elected parliamentarian Christopher Lauer as he fell onto a sofa, sending a message of thanks out via his Twitter account for the 8.9 percent of voter support. "It is breathtaking, a surreal feeling, because there is nothing that compares to this." Standing before the television screen, the leader of the Pirate Party, Sebastian Nerz, called the historic moment "cool." Denmark: Turning the Tide for Social Democracy? In a national election on September 15, voters in Denmark chose to dump the conservative government and replace it with a left wing coalition government led by Helle Thorning-Schmidt, who will become Denmark’s first female prime minister. The Social Democratic Party led an electoral coalition which received 50.2% of the vote and won eight more seats than the conservative coalition. In a stark contrast to Canada, 87% of potential voters went to the polls. A party looking for a jolt of electoral renewal is making a push for renewable energy. The NDP wants Saskatchewan to get half its electrical supply from renewable energy and efficiencies by 2025. NDP Leader Dwain Lingenfelter promised Friday that if his party wins the Nov. 7 provincial election, it will enshrine that target in law. An NDP government will also kickstart the process by adding 400 megawatts of wind energy production to the provincial grid in its first term, he said. Social-democracy had its apogee in the period 1945 to the late 1960s. At that time, it represented an ideology and a movement that stood for the use of state resources to ensure some redistribution to the majority of the population in various concrete ways: expansion of educational and health facilities; guarantees of lifelong income levels by programs to support the needs of the non-"wage-employed" groups, particularly children and seniors; and programs to minimize unemployment. Social-democracy promised an ever-better future for future generations, a sort of permanent rising level of national and family incomes. This was called the welfare state. It was an ideology that reflected the view that capitalism could be "reformed" and acquire a more human face. Why did the Soviet Union come to an end? Was the Soviet system reformable? Were there historical alternatives to Stalinism? These are the questions that Stephen F. Cohen raises in Soviet Fates and Lost Alternatives: From Stalinism to the New Cold War. 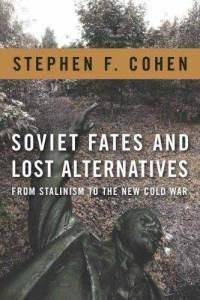 In a series of seven essays, Cohen challenges conventional assumptions on the course of Soviet and post-Soviet history, examining the fates and lost opportunities of Stalin’s preeminent opponents. For Cohen, captivated by the theme of political alternatives in history, Stalinism was never the predetermined outcome of the Bolshevik Revolution of 1917. Tracing the policies and aspirations of Nikolai Bukharin, Nikita Khrushchev, Yegor Ligachev, and Mikhail Gorbachev, he argues that there were both viable alternatives to Stalin’s Terror, and the eventual breakup of the Soviet Union. In other words, the Soviet system was reformable. Khrushchev’s anti-Stalinist reforms, for instance, represented a real alternative for the Soviet future of the 1960s. A “viable anti-Stalinist tradition,” Cohen argues, linked Bukharin’s progressive socialism of the 1920s and Khrushchev’s political revivalism of the 1960s.